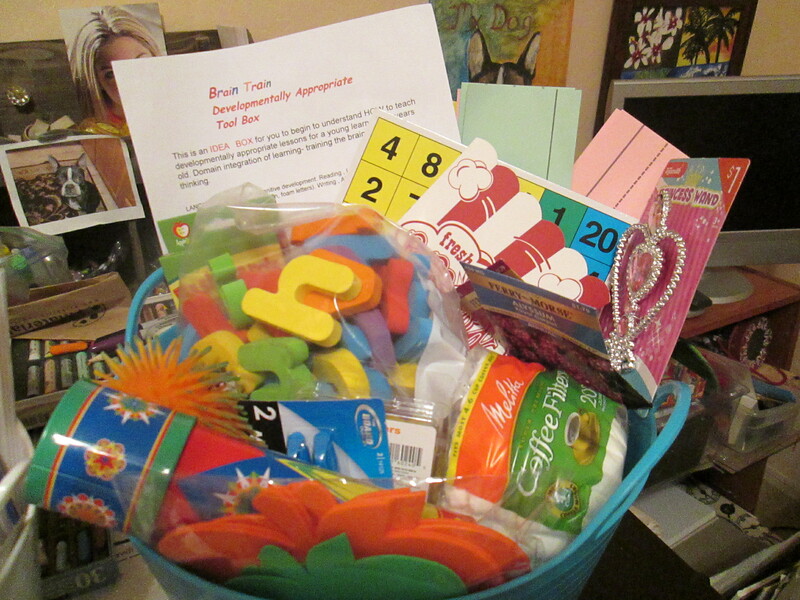 I made a tool boxes and portfolio packets to help new Preschool teachers in my community, it comes with a BRAIN TRAIN booklet full of cheap and simple ideas. It all seems so easy to me , but these teachers use it as it relates to their teaching ideas, it is like being in a teacher support group. The PORTFOLIO is full of teaching lesson plan ideas that relate to early learning standards in Arizona and NAEYC. 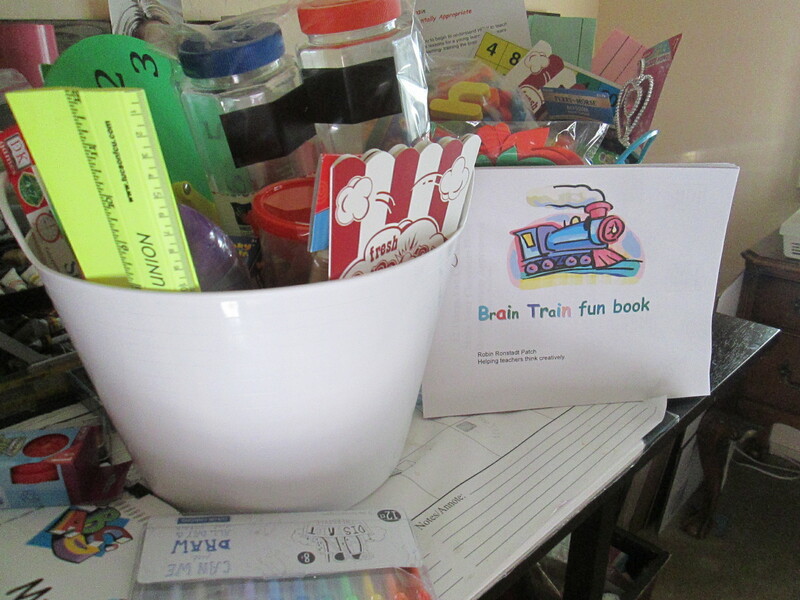 The Brain Train booklet is a booklet of fun ideas for parties and holidays. All are supplemental pieces for your classroom. With the certification of Early Childhood teachers state standardization, teaching preschool has become more developmentally appropriate and difficult. Between assessments, academics, developmental ISSUES, the preschool teacher is often overwhelmed. We need tools that help us focus on teaching the young child NOT mastering paperwork. Teaching the young child, if done correctly becomes a satisfying achievement. 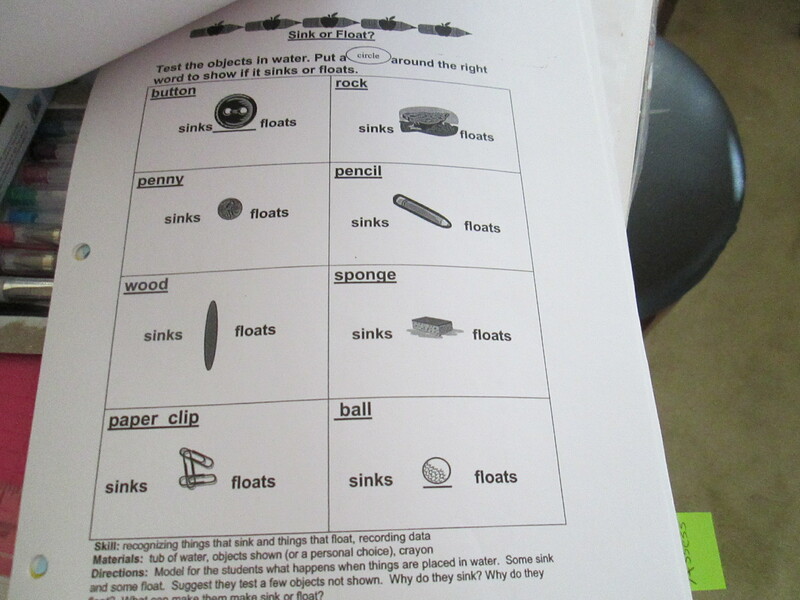 I put a couple of example pages, the children can see the pictures and understand the task. They think they are reading, and they are- from pictures. I put fill water bottles with colored water and let the children make their own imagination bottle- pipe cleaners, beads, glitter, sequins, and so on- then the children color copy it into the portfolio. 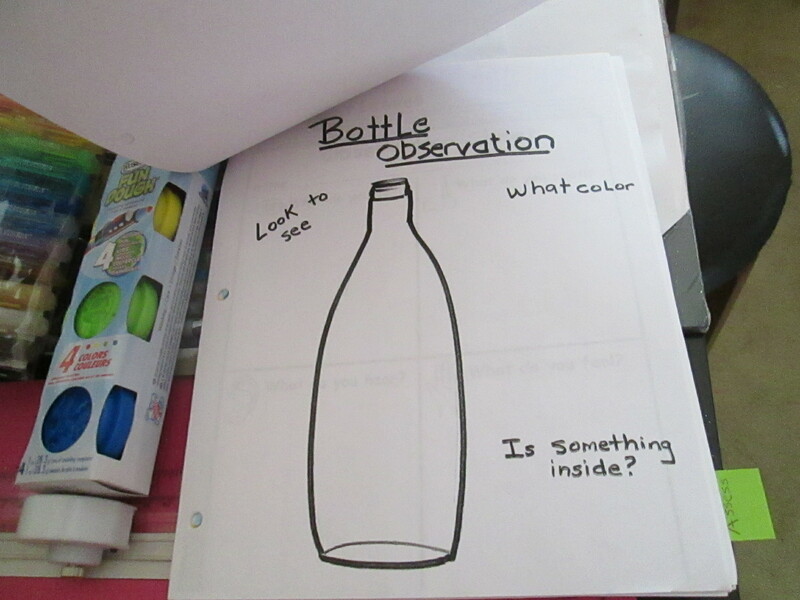 It is an easy science experiment- the children often pour colors together to make new colors with funnels. It can be extended for several developmentally tasks and learning concepts. 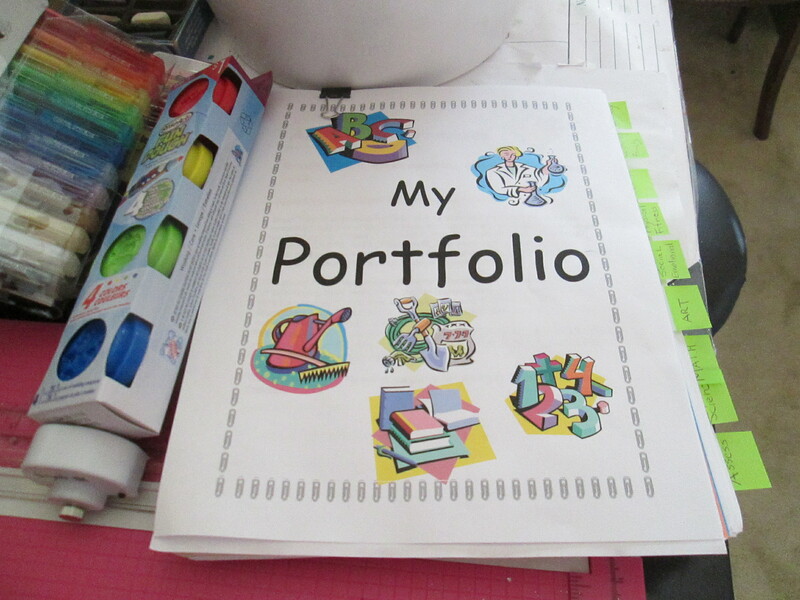 The portfolio is a progressive sampling of the child’s work throughout the year. Every preschool teacher should use this book and understand the developmentally milestones. I want to help other teachers understand the importance of teaching young children. Most people just think it is baby sitting, but teaching little children is so important because it is building a better world- if children learn early to be kind, understand their emotions and recognize others have feelings too, without discrimination, from an untarnished perspective. Perspective taking from the child’s point of view is an interesting way to teach and understand children. Valentines day is coming and most children just KNOW its about CANDY- I love that simple thinking. Let children view the world from their own perspective then understand and teach. 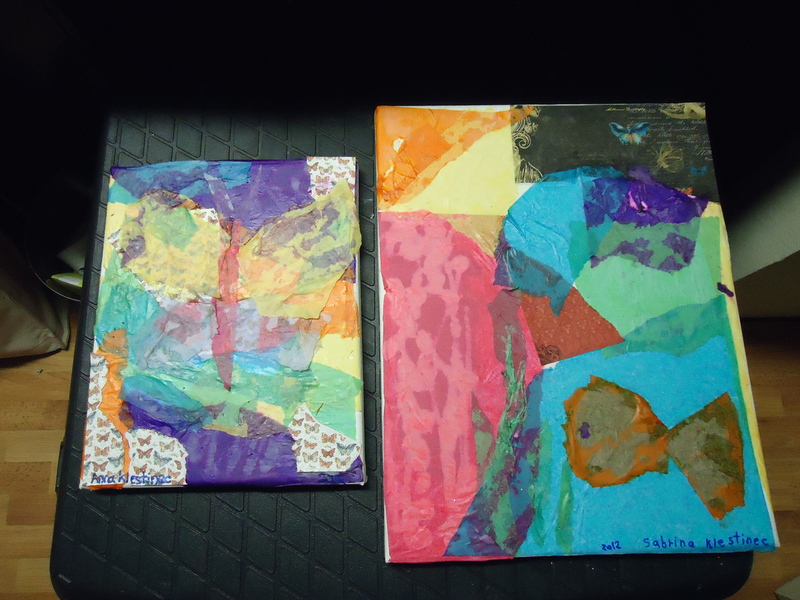 These two pictures were done by a 5 year old and a 3.5 year old- they tore the tissue paper, glue the paper and came up with their own concepts. I just gave them the art supplies and said make a colorful painting. These are really nice process ART pieces. 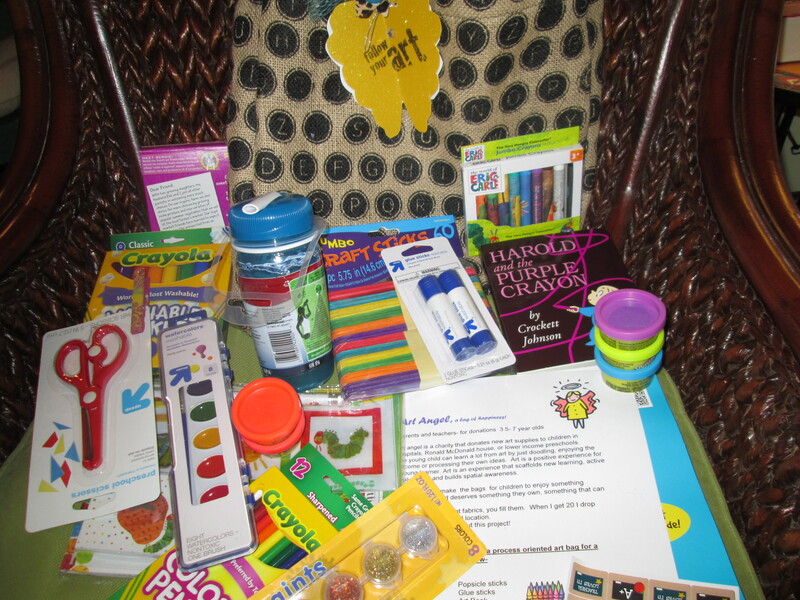 I supply the art bags to different New Preschool Teachers , who need help getting started . I give them an information art booklet, How to help the child think creatively, how to LET the child work through the process- this allows them to THINK independently. Teaching like this lets the child SEE what he/she wants to make-their own perspective. Let go and get the best results, you can follow NAEYC, Eccers or whatever your school program uses for accreditation as a high quality school. 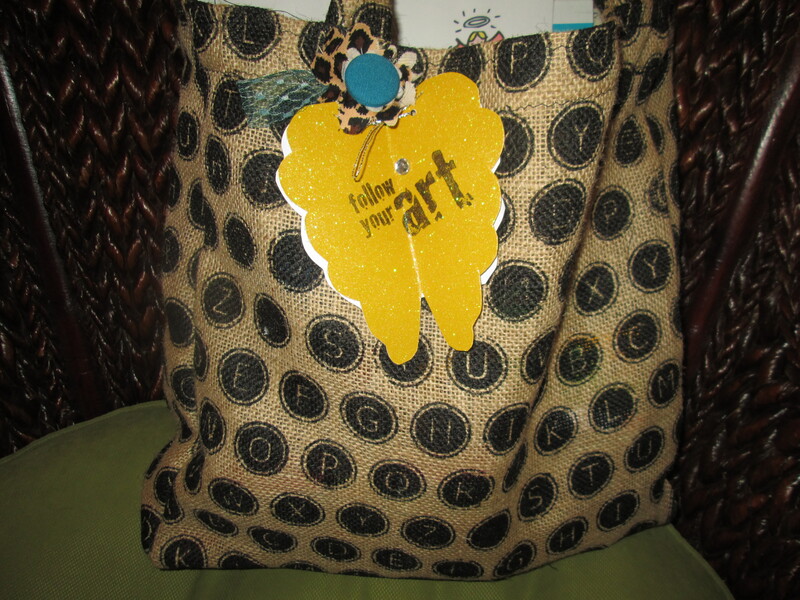 Art Angel, art bags for happiness! Help me out- I have started a charity “Raising Stars” to help educate young children in various domains though fun educational methods. I have been trying to connect with people in the community, schools, churches and Tucson ministries to distribute my bags. 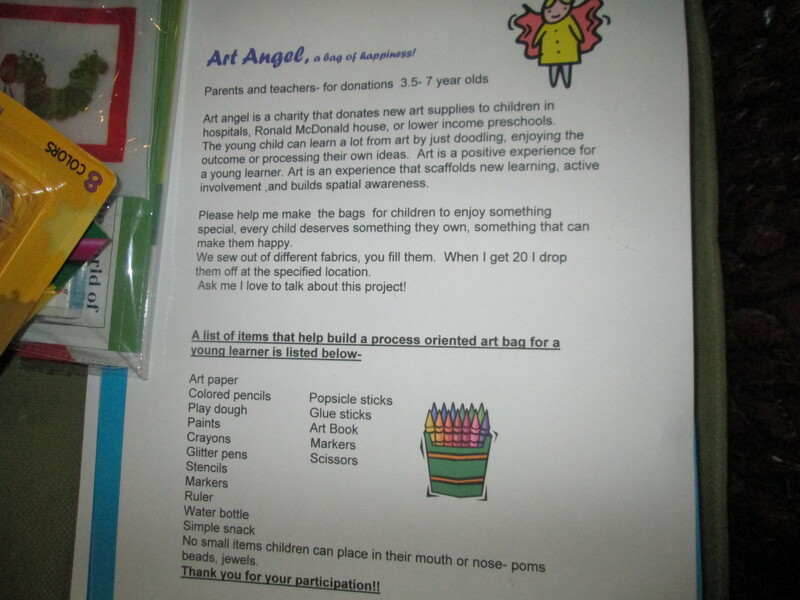 Next up for distribution ART ANGELs( young learner (4-7 yr olds). Check it out!